Also, in the studio was Lisa Troutt, wife of WinStar Farm’s owner, Kenny Troutt. We’ve been blessed to know Elliott over the years when his boys and our youngest son, Woody, played football together at Christian Academy. Fast forward a few years and my John got to be with Elliott again. 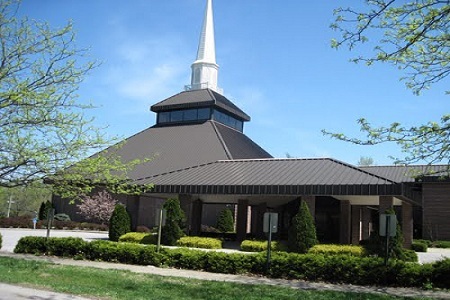 They were two of ten men Bob Russell spearheaded to attend the first Businessmen’s Retreat at Country Lake Christian Retreat Center in Indiana. (www.bobrussell.org ) Bob’s hosted three so far, and they’re planning on more. Bob’s been mentoring young pastors from all over the country, teaching monthly retreats for several years since he retired from Southeast Christian Church. He also wanted to do the same for Christian men in the marketplace. My John maintains their experience was worth a small fortune. Bob brought in successful business entrepreneurs and other ministers to share some of their insight as part of the program. 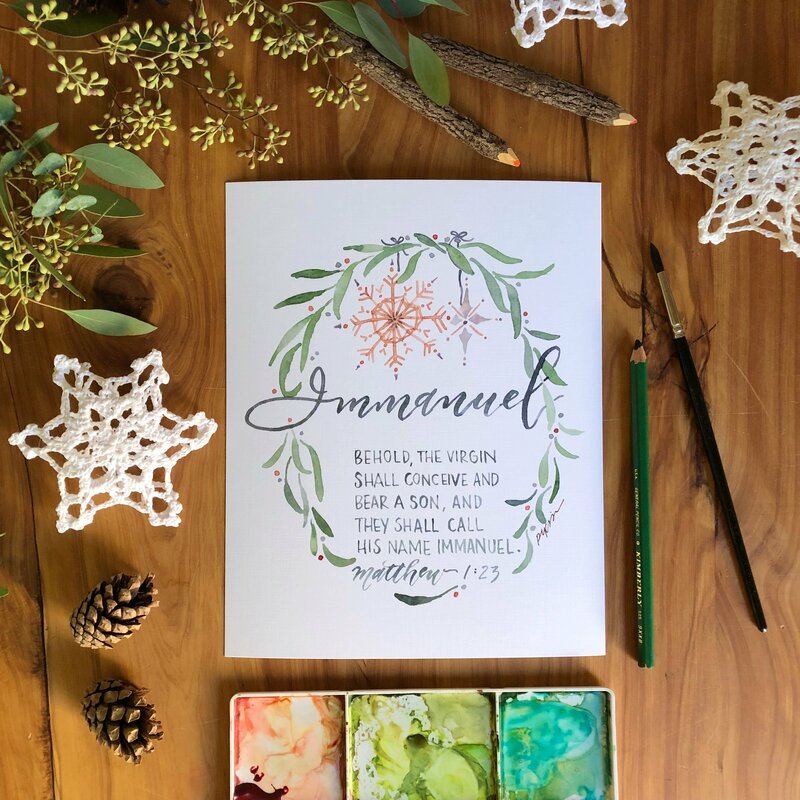 Since their gathering, Elliott often sends out devotions he crafts, always centering around a Scripture verse to share with their fellow attendees. Eric said, “I know that.” Christian fellowship at its finest, live on the air! Elliott proceeds to show how Mike Smith truly walks the walk in his faith, always exalting the Lord and not himself. You’ll learn some jaw dropping tidbits throughout the interview PLUS you’ll get to hear from Mike Smith as well. Learning of Mike’s faith and witness is heartwarming. 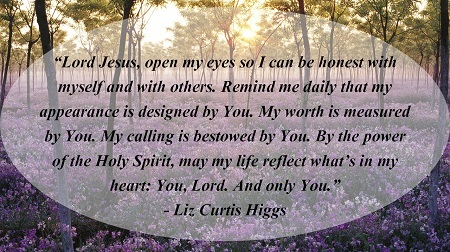 What an encouragement to all of us! How long was Elliott a horse trainer before he got the opportunity to work for WinStar? How much does Justify weigh? How did Elliott wind up in the horse business? How did Elliott beat Bob Baffert out of a win for another potential Triple Crown many years ago? How long has Mike Smith been a Christian? Will Justify run in more horse races? How much longer will Mike Smith, now 52, ride? Run, don’t walk to your nearest iPad or phone or laptop and listen up. You’ll be so glad you did. Friends! Cheers to all you Moms, Grandmoms, Aunts, and Neighbor-like-practically-Moms this Mother’s Day week. I pray you’ll all feel super celebrated on Sunday. 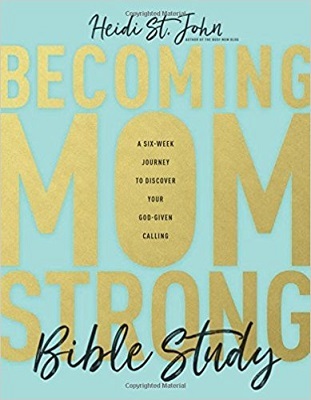 While we may not always feel celebrated, much less strong and eager to tackle each day, author Heidi St. John has a book and a Bible study to help us do exactly that: Becoming Mom Strong: How to Fight with All That’s in You for Your Family and Your Faith. You may be saying, “Yeah, right. 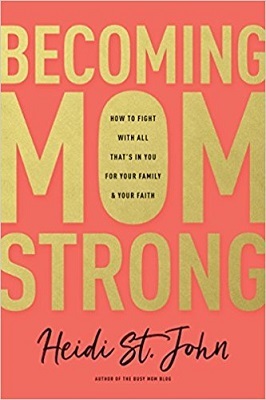 I may be a strong Mom if one were grading on the curve, but I’m certainly not a strong Mom every single day!” To which I’ll strongly suggest you grab this book ASAP, because if Heidi can do this while raising her seven children (all the while homeschooling them! ), we’d do quite well by listening to her. I only wish she lived in my neighborhood. Right or wrong, I generally judge a book not only by its cover, but also by its take-home value. 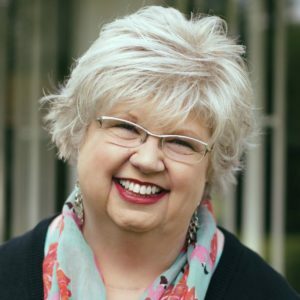 I’m delighted to report Heidi’s book and Bible study are loaded with excellent take-home material and are well worth your time. Each chapter ends with a succinct summary/challenge. 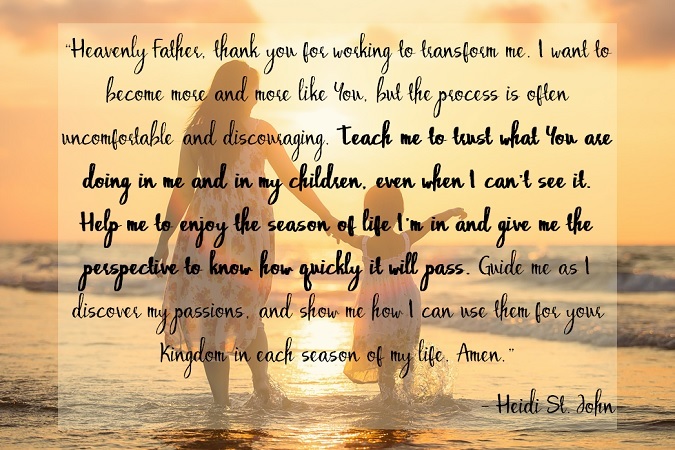 Right after the summary, Heidi includes prayer points with Scripture to back them up. Each and every one of these is excellent. Multiply that by fifteen chapters, and you’ve got a valuable resource I predict you’ll return to time and time again. Heidi is brutally honest, telling on herself. She makes us readers feel better for our own faux pas. 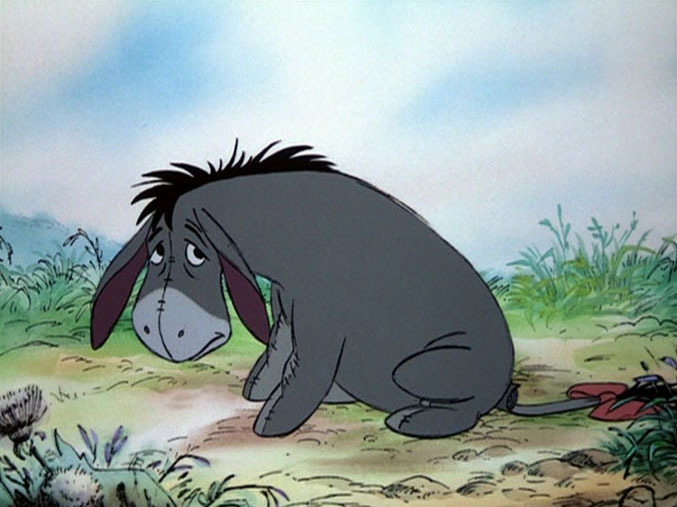 In fact, I felt 100% better after learning she, too, forgot to be the tooth fairy for one of her children. (Sorry again, Woody.) You will laugh out loud in each chapter. Surely that verse will encourage us in our prayer lives! I so wish I’d had this book when we were raising our boys, but glory be we now have a granddaughter to love on and show her how to love the Lord and her friends. Obviously, I recommend Heidi’s book as well as the Bible study. I hope and pray many young Moms will take this study and take it to heart with their little ones. The potential effect could be wildly powerful! Friends! 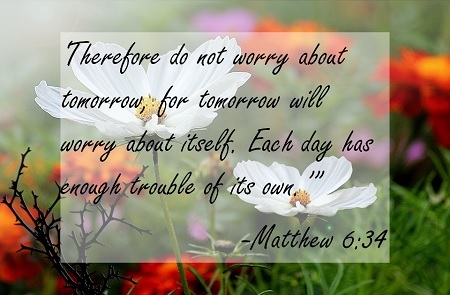 Anyone lugging around worries that are making you anxious? (I’m just realizing lug is in luggage.) Luggage denotes “inconveniently heavy baggage.” Well, take heart, I’m bringing you good news to lighten your load and bless us this Holy Week. Many of you know how often I quote author Max Lucado. 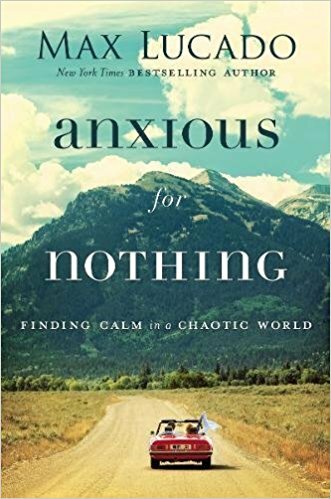 His most recent book, Anxious for Nothing—Finding Calm in a Chaotic World, is a current favorite, its’ many pages already highlighted and dog-eared. Flip on the news or grab a newspaper and “anxiety disorders” are usually the front runners. Epidemic proportions. Max’ book also includes a Study Guide which would be great for anyone, but also super for a Small Group to work thru’. 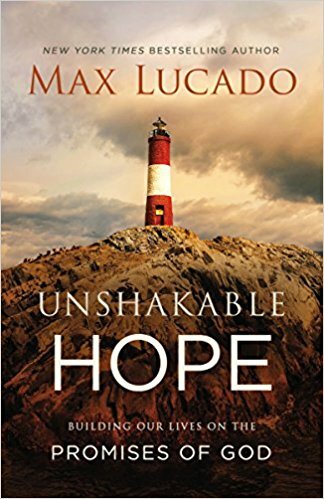 And, more good news, he’s got another new book coming out this summer, due to be released August 7th, called Unshakable Hope: Building Our Lives on the Promises of God. Yet one more sure-to-be great resource! 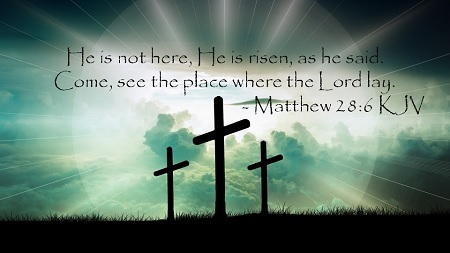 Have a most blessed Easter. First up, allow me to give you a glimpse of a gorgeous coffee table book that’s also a lovely devotional. 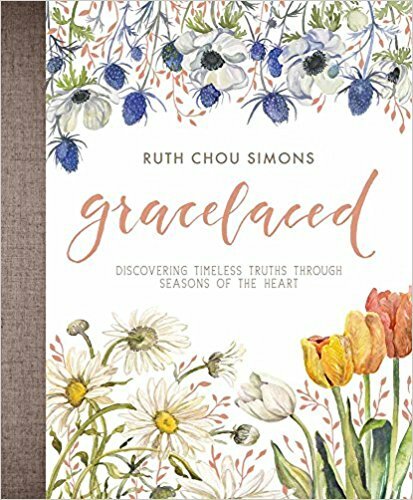 Artist and author Ruth Chou Simons’ book, Gracelaced—Discovering Timeless Truths Through Seasons of the Heart will bless the socks off you and anyone else you happen to give it to. From its’ beautiful cover and on into the book, you’ll be met with splendid artwork and photographs divided into the four seasons of the year. 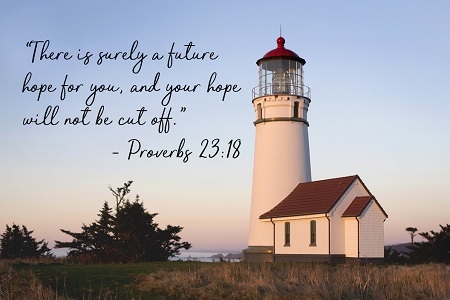 Each season has eight words/entries for you to pour over, including extra Scriptures to look up to help you “delve deeper” as well as a section at the end with questions to help you consider how you’ll respond once you’ve read it. 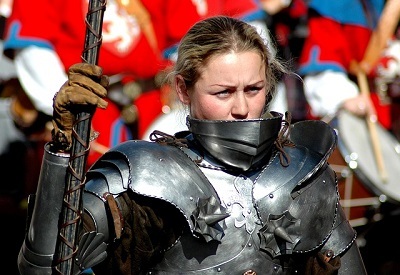 I was stunned to discover Ruth and her husband, Troy, have quite the full quiver: SIX BOYS. After raising three, I can only imagine TWO three-ring circuses!!! Ruth’s down to earth writing style is relatable and she tells on herself more than once. 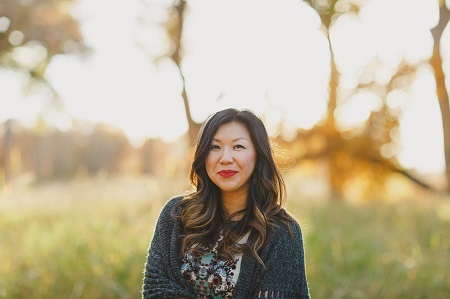 She gifts readers with the courage to press on. Don’t miss her website. She includes opportunities to order her artwork in the form of printables, notecards, journals, along with some fun recipes. Go to her Shoppe and see what’s available! 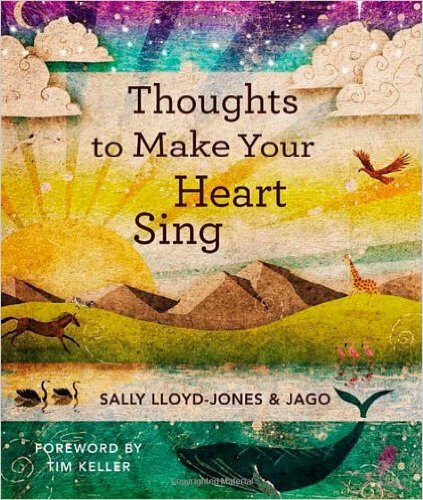 Second idea is a devotional for wee ones entitled Thoughts to Make Your Heart Sing by Sally Lloyd-Jones. My friend, Aletia, gifted me with this when our first granddaughter, Claire, was born. While it’s for children, I’m enjoying reading it before Claire’s old enough to understand it! 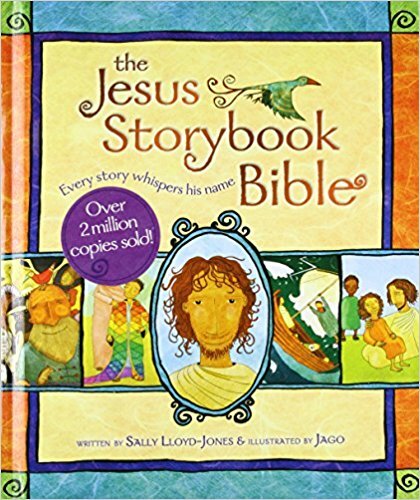 Many of you know Sally from her infamous Jesus Storybook Bible. Jago did the illustrations for both of these books. I learned of this book from our middle son, Gordy, when he was in college. Campus Outreach leaders introduced the kids to it. When he asked for a copy I bought one for us too. Kathy Keller, Tim’s wife, says she gives college students and many visitors to their church copies as it’s so easy to understand. 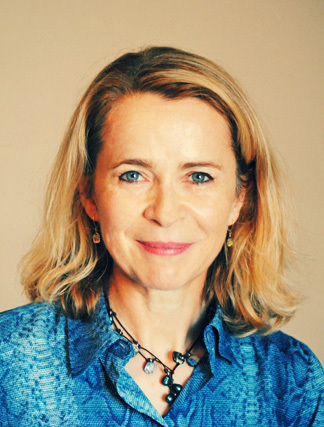 Sally has also written other numerous children’s books, my favorite being Skip to the Loo, My Darling! 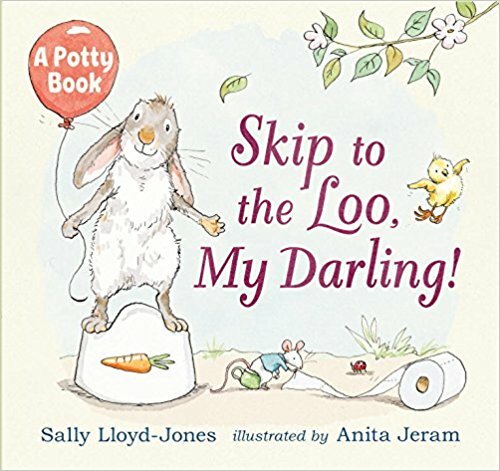 Grand for potty training your kiddos and it’s illustrated by Anita Jeram who also illustrated Guess How Much I Love You. The book is beyond clever. Whether you’re successful at potty training or not, you’ll find yourself howling. 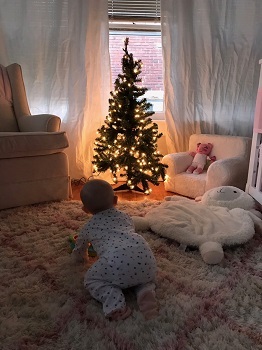 The third gift idea was discovered at a store here in Louisville called Lulubelle’s in Norton Commons, thanks to our daughter-in-love, LT. It’s called “Small Squares with Mighty Words…” I bought all they had(!!! ), but LT tells me they’re getting more in. I gave these to my friends at our Favorite Things party, plus got more for stocking stuffers, and well, figured I could use one too. 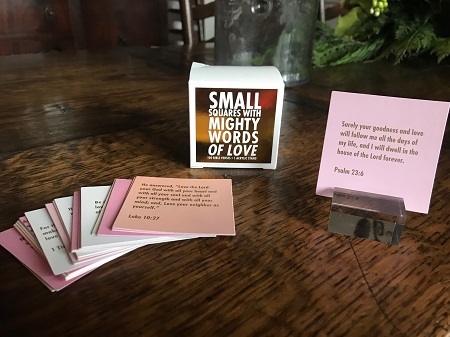 The white box includes a clear acrylic stand, with Scripture cards in muted, pastel colors, packaged as “Small Squares with Mighty Words of Love.” The brown box includes a brown, wooden stand with primary colored cards. I’ve placed mine on my bathroom vanity where I’ll see it every morning. Others have put theirs in their kitchen window or by the kitchen sink. May you and your family and friends have a most blessed Merry Christmas as you savor the season and have a lovely, healthy, Happy New Year as well! FYI: This computer and its’ operator (Moi) are shutting down for a couple of weeks…on purpose. We’ll do a fun series come the second week of January on starting the New Year off slowly. No stress allowed! Friends! Oh, each week leading up to Christmas gets better and this week I’ve got TWO gift ideas just for you! Each of Liz’s thirty-seven books, upon launch, is my current favorite du jour, but this one, call me crazy, is really, really, special—in a bizarre-o way. Most of you know Liz was diagnosed with cancer this past summer. 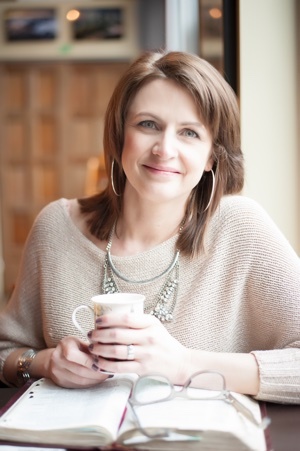 She had completed the manuscript for this book prior to her diagnosis. 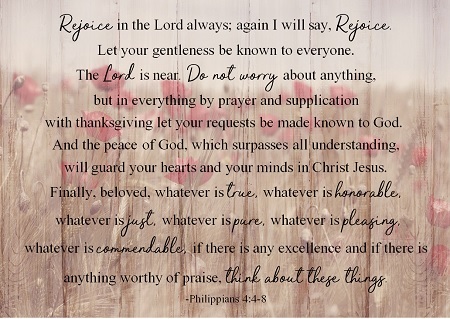 In true Lizzie fashion, Liz dissects these verses, word by word and phrase by phrase, showing us different translations of the Bible which are eye-opening. I’ve highlighted and dog-eared many a page. The verse in this chapter? At the end of the book are 2-3 Bible study questions per chapter which you can do on your own, or with your Bible study group or Small Group. They’re thought provoking and rich with application. 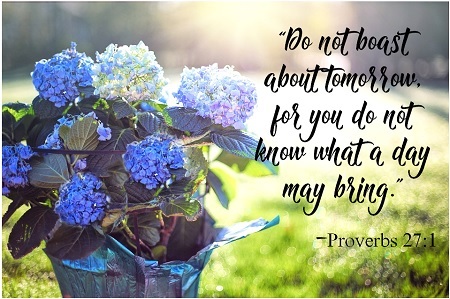 I could never choose a favorite chapter, but I can give you one more peek into one more chapter because I have yet another special gift idea for you which relates directly to this verse! So, while we’re talking about our appearance, allow me to introduce you to a darling, young entrepreneur by the name of Nicole Tarpoff. 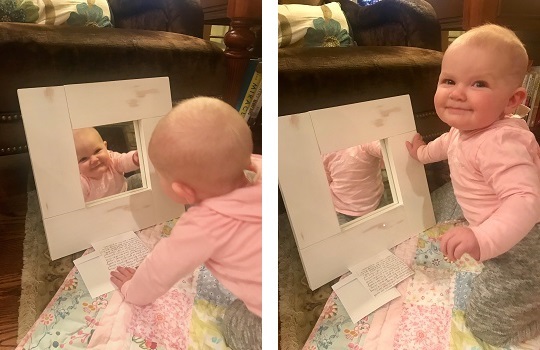 She is creating custom designed mirrors in all sizes and colors. For an early Christmas gift, Gordy, Lauren and Lauren’s Mom, Pam, presented John Jr., and Diana with a gift during Thanksgiving. They’d given Nicole a picture of our granddaughter (Well, ok, their niece, too. LOL), Claire Elizabeth. 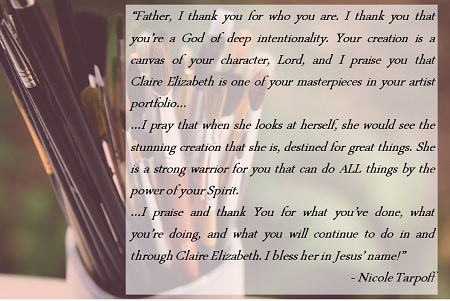 Nicole prayed for Claire while she made this mirror and included a personal prayer especially for her on the back of the mirror. 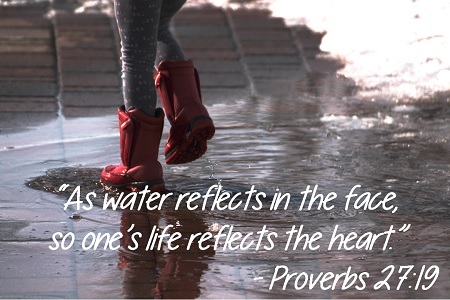 I recently heard Andy Stanley talking about when people do something nice for your children (or grandchildren in this case)…You discover it brings you honor and you never forget it. It blesses your socks off and warms your heart. It’s the BEST. 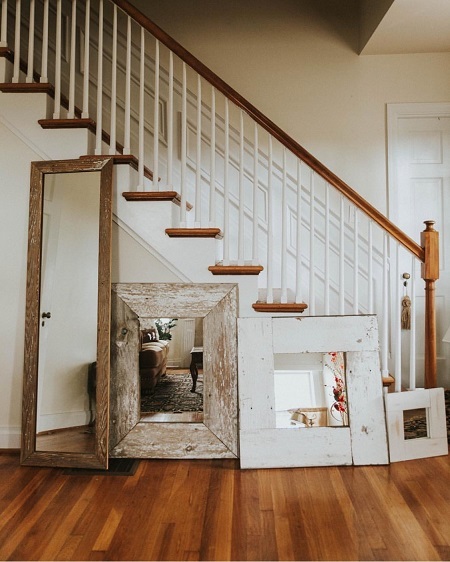 Who are you thinking about who could be blessed by one of these mirrors? If you’d like to contact Nicole about making a mirror for your daughter or granddaughter or niece, her email is: Nicole.tarpoff@uky.edu She’s also on Instagram under her name and you may direct message her @nicoletarpoff. 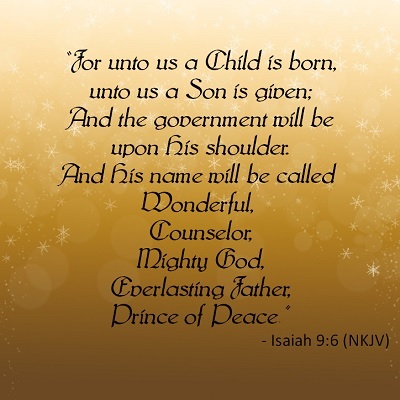 May you and your families savor the wonder of this Christmas season. Friends! Be thinking of who to bring with you to our next Book Club gathering on Monday, November 27th, from 6:30-8:00 p.m. You won’t believe what all is on our agenda! First up, we have some special guests coming who will serenade us! Yes, the Cincinnati Christmas Carolers are joining us! 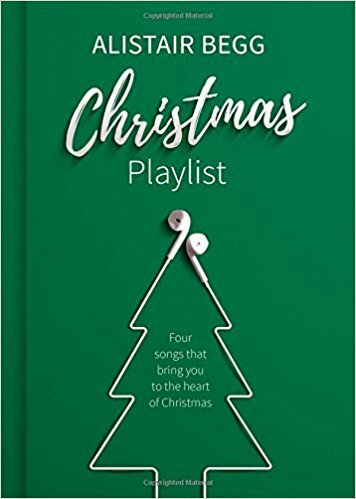 (www.cincycarolers.com )They will not only get us in the Christmas spirit, they will be the perfect segue way into our book we’ll be discussing, Christmas Playlist—Four Songs that Bring You to the Heart of Christmas by Alistair Begg. I used to listen to Alistair every morning after dropping off the children in carpool. His Scottish brogue, along with his inspiring message, calmed my frazzled self to enjoy the day. The second treat we’ll experience is watching a short-but-sweet video message Alistair made just for us! How fun is that? 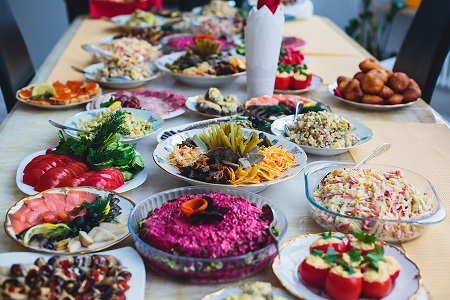 Thirdly, all the while this is going on, we can taste fun Christmas party appetizers everyone is bringing (how about that Christmas tree-shaped cheese mold?!!!) to share. Get creative, but please do avoid fruit cake. (Nobody quote me on that, and please do forgive me, I know some of you actually like the stuff.) And relax, no judgment will surface if you blow into Kroger and buy something readymade. Food is food is food. Fourthly, we’ll have a lively discussion about the book, your favorite songs, Christmas traditions, you-name-it. This will be a sure cure for any potential Scrooges to infiltrate your homes. 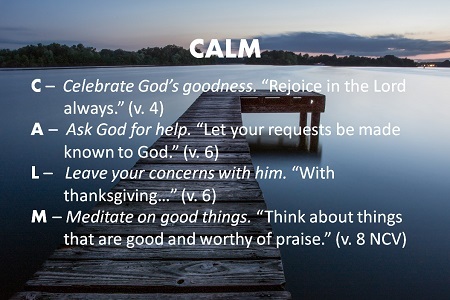 The four songs Alistair shares with us straight from Scripture will prepare our hearts and minds to embrace the Christmas season. Unlike the innkeeper who said, “Sorry, there’s no room in the inn…”, we will uncover ways to make room for Jesus and celebrate His birthday in the best possible way this Christmas. Fifthly, and finally, in addition to your Christmas party appetizer, please bring a wrapped ornament for our Ornament Exchange! This was so fun last year and a huge bonus to have a new ornament to take home and hang on your tree. This will be our grande finale to a most outstanding and uplifting meeting. 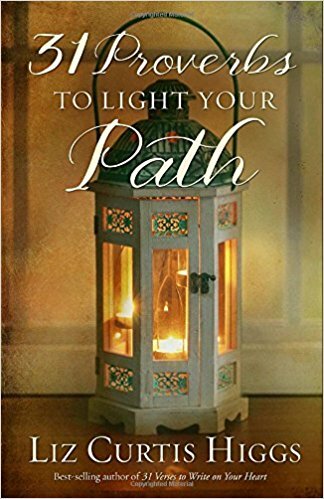 Make arrangements now to join us, toting friends with you, at our Christmas Book Club gathering, Next Monday, November 27th, from 6:30-8:00 p.m. at Middletown United Methodist Church. Please call Nancy Tinnell to RSVP: (502) 245-8839.